Gentrification has changed the demographics of the city of Atlanta significantly. Atlanta has one of the highest gentrification rates in the nation. But, what is gentrification really? One of the mayoral candidates said that gentrification is not necessarily a bad thing – neighborhoods need growth and opportunities for economic equity – it is the resulting resident displacement and lack of affordability that give gentrification its negative connotation. I have lived in the historic Cascade community for about 14 years and I always find it interesting when I encounter blacks who feel as though living in Southwest Atlanta is beneath them. They complain that there’s too much crime, the school systems are poor, there are few retail and food amenities, etc. While this may be true (side eye), many fail to value the impacts their presence and economic investment could do for the area and black culture in Atlanta. The lack of true cultural and political focus has led to stagnation of the Cascade area, but the neighborhood jewels outweigh this reality. I enjoy my neighborhood – there’s old money and new money, beautiful mansions, young families, and older adults who’ve seen race relations evolve in our nation. Many black political and business leaders live in the community. I can visit my neighborhood grocery store and see images of black success, love and excellence – everyday. There is this solemn spirit of cultural loyalty and pride. To a great extent, there is safety in knowing that your neighbors understand your experience and, because of that, one can breathe a sigh of relief and just “be”. The Cascade community represents where our nation is when it comes to the black experience. Blacks are simply happy to be free and able, but we are equally as tired – we acknowledge that there’s still a long way to go. 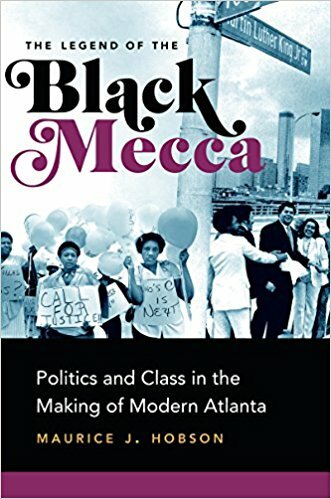 Frankly, for Atlanta to be a “black mecca”, there is no reason why the West End/Cascade neighborhoods aren’t hubs celebrating the rich legacy of black Atlanta culture and heritage. They used to be, but something changed.